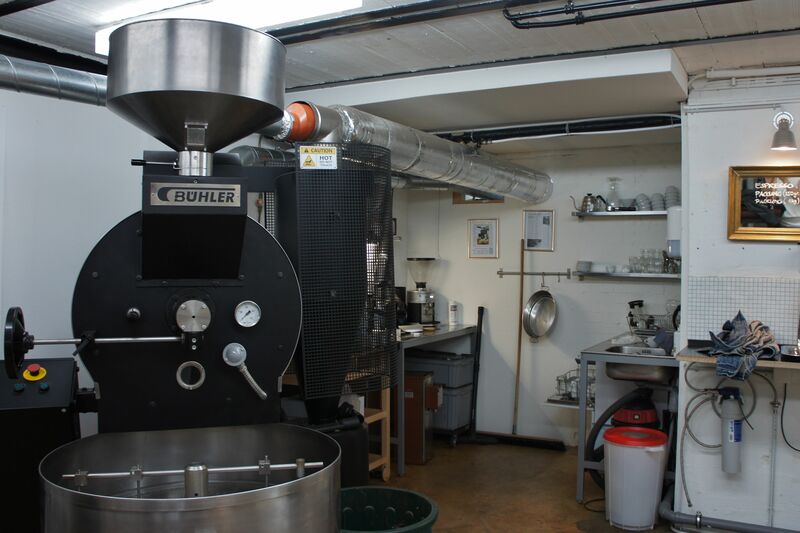 The Black&Blaze Coffee Roasting Company is located on the main road of Ebmatingen, a little town not very far from Zurich, very easy t0 get to (take bus 747 from Klusplatz). I was there on Wednesday morning to visit Claude Stahel, the head roaster of the roastery and to see what is he up to. 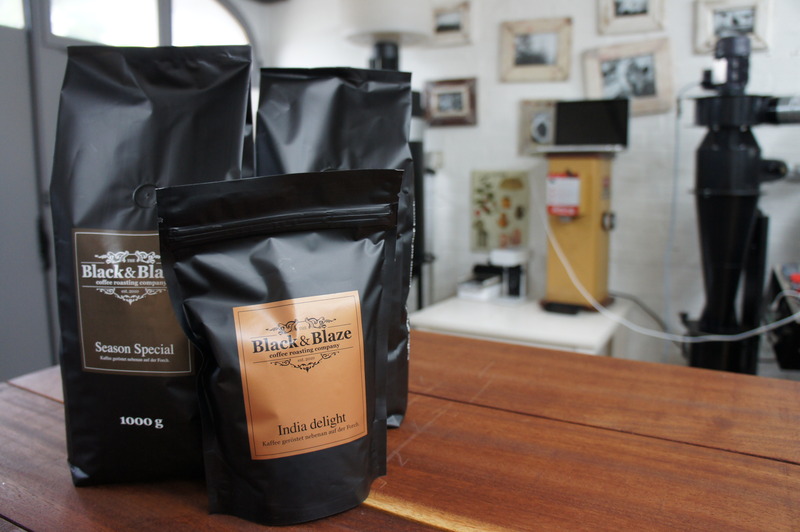 Black&Blaze is a micro roastery founded by Claude in 2010 after one of his journeys as a photographer to South Africa gets him inspired by discovering how coffee can taste like. And just like that when he comes back to Switzerland he starts researching the topic until he gets his hands on a Buehler roaster and some green coffee and voilà! First batch of goodness is there! Well, no. Actually, after his first attempt the beans were baked. Literally. 3rd crack, 4th crack – I don’t want to know and not to mention the whole lot of smoke in the room. But trial and error can teach a lot and now, five years later he continues to learn about coffee. Fueled by his passion and enthusiasm a person can go far, don’t you think? Yes, that should be Claude’s case. 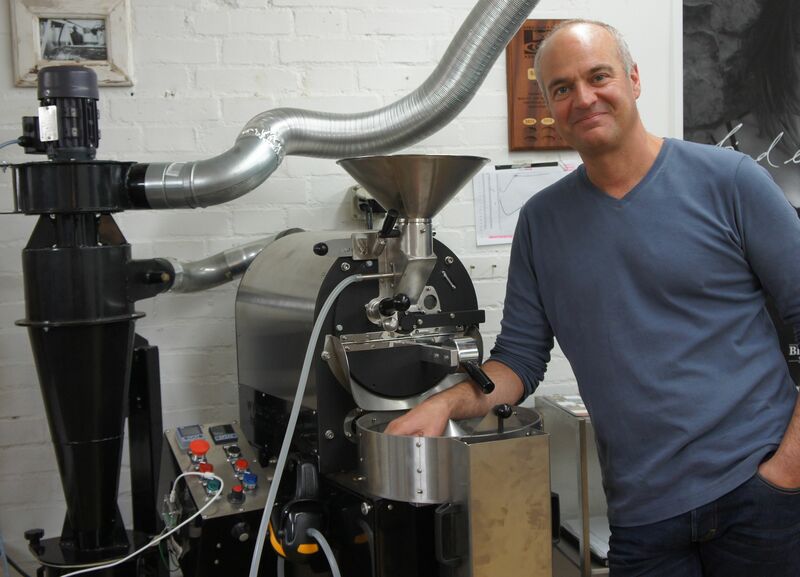 Now he has also bought an 800g roaster to play with, but his idea along with roasting coffee samples is on this machine very fine specialty coffees to be roasted on demand. Packaging and labeling all customized for the client. Something interesting he has at the moment is the India Delight from the Araku Valley in Eastern India. Washed arabica imported directly from Black&Blaze. The farmers in that region are part of SAMTFMACS, which is short for Small and Marginal Tribal Farmers Mutually Aided Cooperative Society. The organization is found 2007 and since then works to generate alternate income for the farmers and the community through sustainable agriculture. Another good thing about India Delight is that because of its lack of acidity you can easily introduce it to a non-specialty coffee drinker. It’s not lacking completely though, that why we could call it specialty coffee for beginners.